​​​​​​​​​​TEXAS - 'Wanna be a kid?' Grow up in Texas. 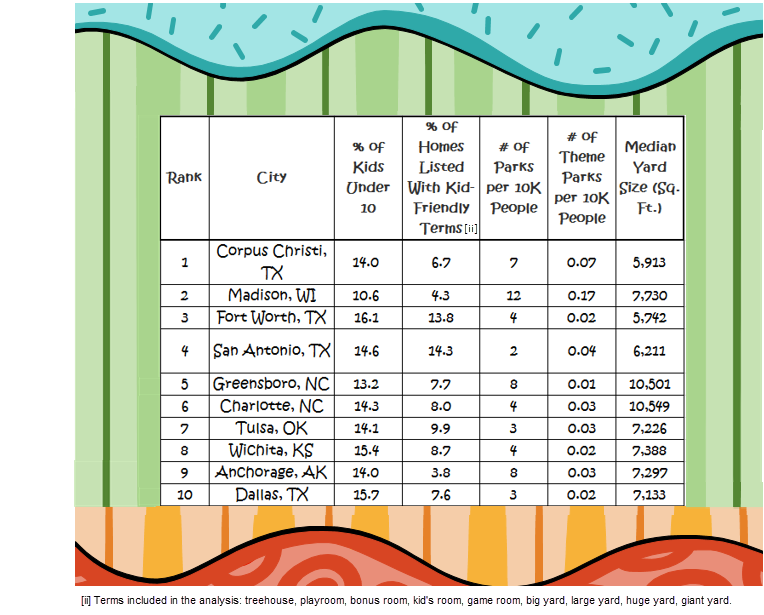 ​Corpus Christi, Fort Worth, San Antonio and Dallas, Texas all appear on Zillow's list of the best cities for kids—places with plenty of theme parks, big yards and other playmates. To compile the list, Zillow analyzed listing descriptions in the 100 largest cities across the country to find best cities to be a kid.